Little Jack- Micro Adict - 2 gr #07 904770 10.50лв. Little Jack- Micro Adict - 2 gr #02 904725 10.50лв. Little Jack- Micro Adict - 2 gr #05 904756 10.50лв. Little Jack- Micro Adict - 2 gr #06 904763 10.50лв. 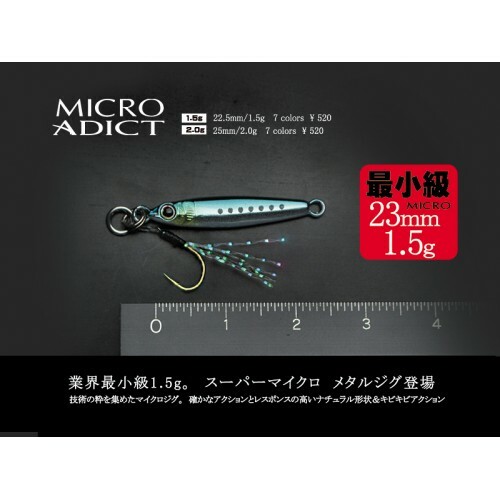 Little Jack- Micro Adict - 1.5 gr #03 904664 10.50лв. Little Jack- Micro Adict - 1.5 gr #02 904657 10.50лв. Sinking lure for predator fish - sea fishing.